Vacuums are typically frightening for cats, but occasionally there comes a feline who can tame the noisy house-cleaning beast! ... But then he realized that he was actually pretty into this whole vacuum thing. I mean, what a great masseuse! 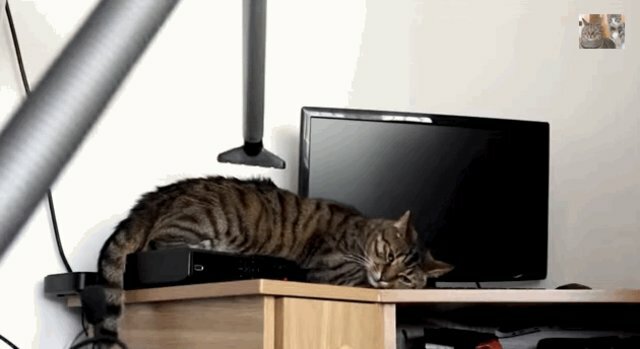 Vacuum gets all those pesky, hard-to-reach places! 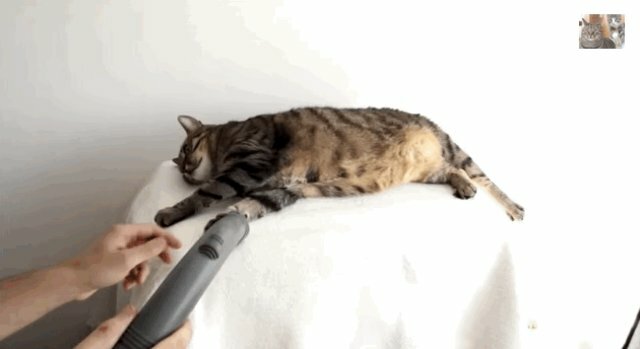 According to cat behavior expert Mikel Delgado, Bobo truly does seem to be enjoying the warm, massaging action of the vacuum - but most cats would not be so welcoming. "I wouldn't say this is a carte-blanche for people to start vacuuming their cats," Delgado says. 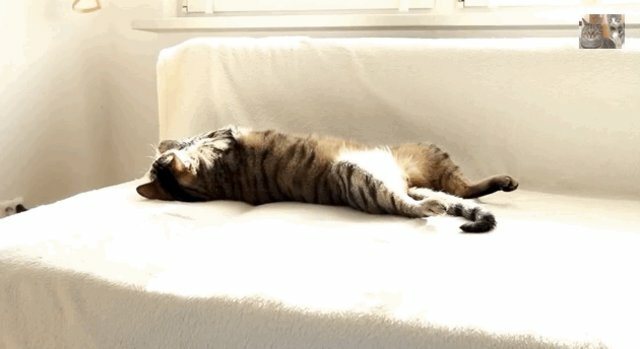 "Most cats are fearful of the vacuum (probably partly due to the noise, and the fact that it moves on their level in what could be a scary way). For most people, they should either confine their cat in a safe room while they vacuum, or get the cat slowly used to the vacuum, pairing brief exposure with treats." 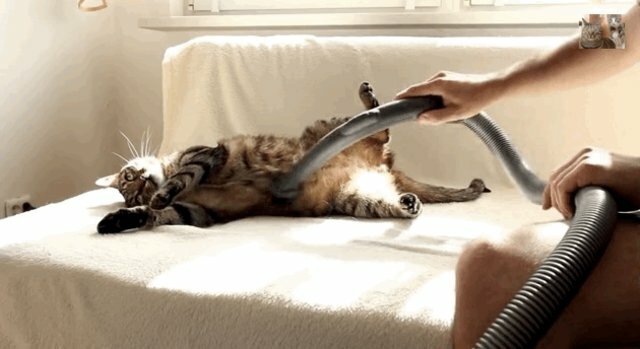 For those few cats who do love the vacuum, there are actually grooming tool vacuum attachments available for dogs and cats. However, if you start your vacuum up and your kitty flees the room, Mikel says that's a pretty definite sign that you should not be vacuuming him!